Blue Anodized 316L Steel Piercing Loose Spike. 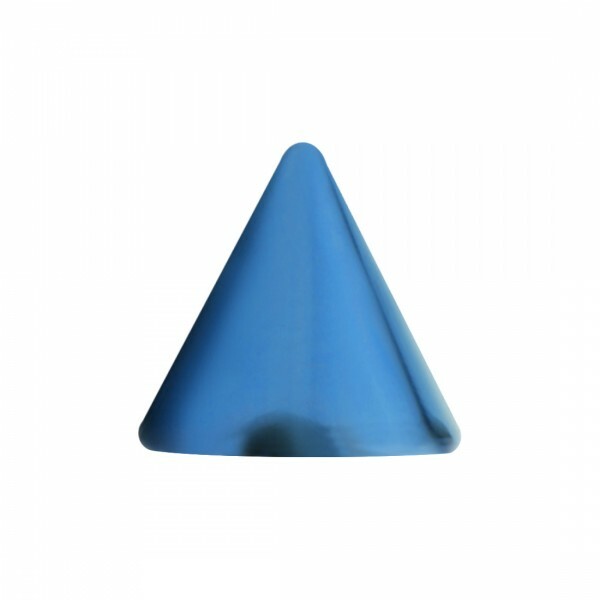 This body jewel blue anodized 316l steel piercing loose spike made in 316L Surgical Steel, of Conical shape, with Blue as the predominant colour is proposed to you in 1.2mm/16G, 1.6mm/14G size and with a 02mm, 03mm, 04mm, 05mm, 02.5mm spike. There are 3 other versions of this product: rainbow, gold and black. This product is often bough with white bioflex/bioplast straight barbell bar and 316l surgical steel barbell only spike.